Wild by name and wild in execution. 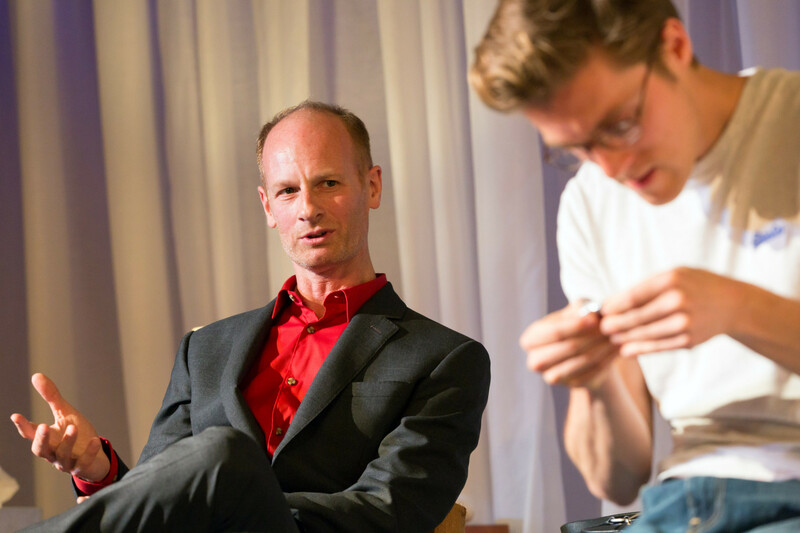 The prolific Mike Bartlett (credits and awards piling up, most recently for the clever, futuristic King Charles III, currently in film production and on tv, Doctor Foster), has done it again. Taking the Edward Snowden affair (and somewhere in there, implications which might relate to Julian Assange though since the Other Man never, he/it appears it’s like Waiting for Godot), Bartlett spins a great big, surreal shaggy dog story that looks variously at personal identity and the not knowingness – or not being certain of – anything. It also ends in a coup de théâtre the like of which I’ve never witnessed on stage before, which is guaranteed to disorientate audience and performer alike. Not wishing to give the game away (someone undoubtedly will), that’s all I’m saying. The last fifteen minutes of James Macdonald’s acute, pin-point sharp production are extraordinary and whilst what goes before has its longueurs, like Pinter, there’s so much else to enjoy, such naughtiness and truths about the lives we all lead, framed by the impact of modern technologies, you have to forgive his indulgences. Snowden’s gesture, Bartlett has his fictional Snowden character, Andrew say, was all in the name of freedom. But how little freedom we actually have where everything about us is known and monitored. 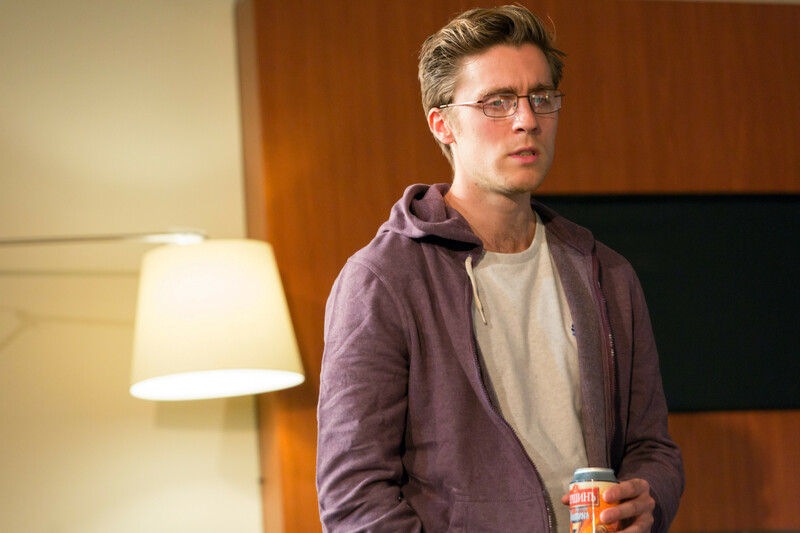 Through Andrew – a beautifully restrained Jack Farthing – Bartlett explores the consequences on an individual who overnight becomes world famous at the push of a button. Holed up in a Moscow hotel bedroom, Andrew is visited by two mysterious people, the first, Miss `George’ Prism – a brilliantly quirky Caoilfhionn Dunne who milks every line for its eccentric tendency – and the second, smirkily smooth and slightly threatening John Mackay’s similarly named `George’. In a series of duologues, they proceed to twist and mentally confuse Andrew into committing himself to their protection. Precisely who `they’ are is never spelt out but left hanging in this dramatic metaphor and dazzling philosophical tour de force, the bravura of which could only have been created by a master craftsman making full use, in particular, of the Hampstead Theatre’s technical resources. 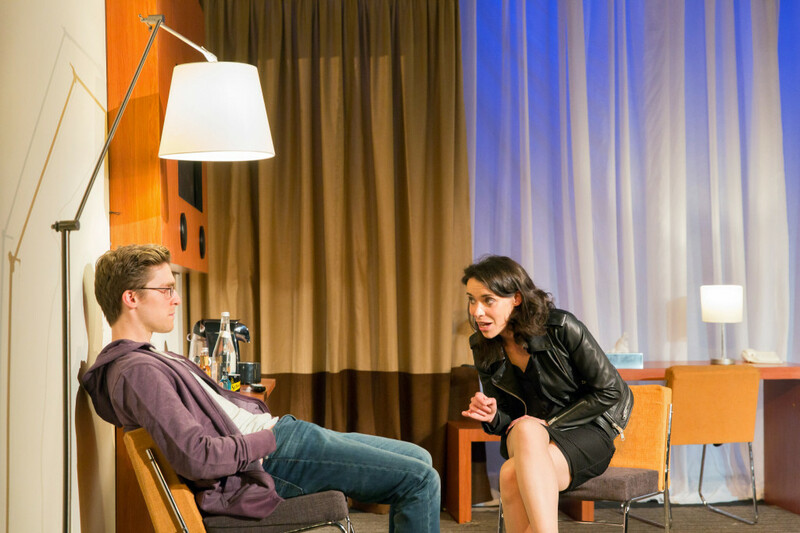 This entry was posted in 2016, Reviews and tagged disorientation, Edward Snowden, Hampstead Theatre, identity, James Macdonald, Mike Bartlett, Miriam Buether, surveillance, technical wizadry on June 23, 2016 by Carole Woddis.